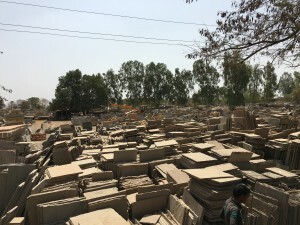 I’ve travelled to India on numerous occasions over the last 10 years and it’s fair to say that on each visit, I gain further insight into the supply chain. 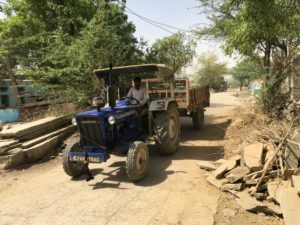 Since leaving the ETI and joining the CLFZ (Child Labour Free Zones) project London Stone’s visits to India have been solely focussed on working with the local community to make child labour a thing of the past in Budhpura. Whilst being extremely rewarding the project has also been a huge challenge for everyone involved. Now 3 years in we are starting to see real, on the ground progress, none more so than after a recent visit which has left me feeling inspired and given me a deeper understanding of the community, its social structures, the problems it faces and of course, the solutions. How did I get this deeper understanding? By walking. Walking the supply continuously until all the questions in my mind were answered. Such a valuable exercise, I had spent time walking the supply chain on my previous visit but this time, I delved a lot deeper. It was while walking and mentally mapping out the supply chain that I realised of the tiers within a tier. Let me explain! For those of you who aren’t familiar with the supply chain tier system, tiers are how we classify our foreign supply chains. Supply chains are made up of several different tiers. Tier 1 level are the factories from whom western importers source directly from. The tier 1 factories are modern and clean and would easily meet UK and European factory standards. In fact, it’s fair to say that I’ve seen a lot worse in Europe. The tier 2 level of the supply chain are the stockyards and middle men who supply material into the tier 1 suppliers. 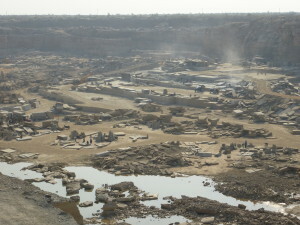 The Sandstone Cobble yards in Budhpura, for example, would fall into Tier 2. Here, conditions aren’t so good. 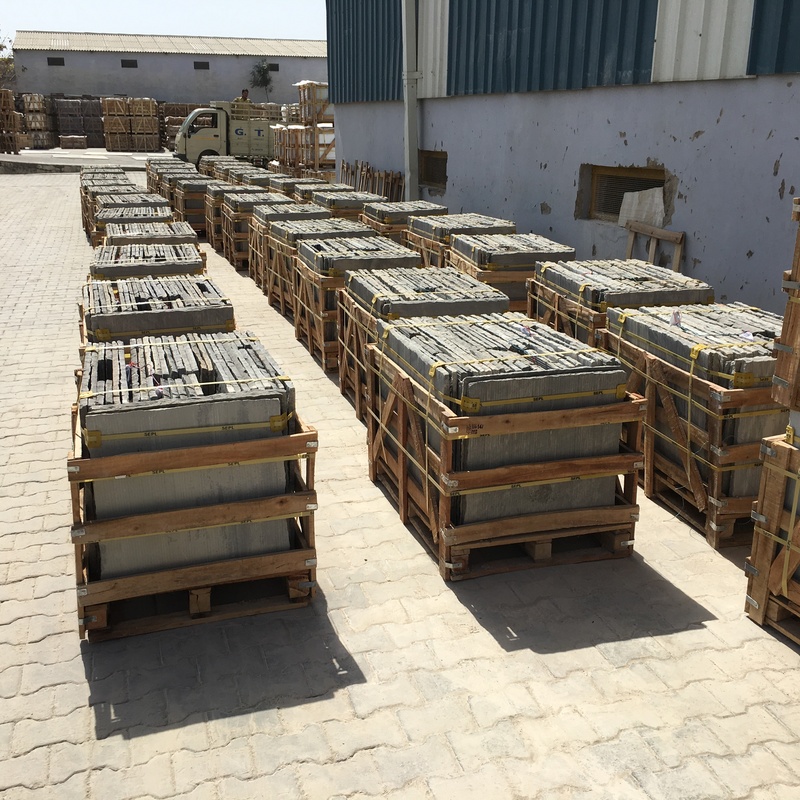 Tier 2 is largely neglected by the majority of western stone importers, so there is little or no pressure to improve standards. Then there is the tier 3 level. Tier 3 level are the quarries and might as well be a different world to tier 1 and tier 2. Currently Western companies have very little leverage on the working conditions in tier 3. As conditions are improved in tier 2, we will see tier 3 develop as the new battleground in improving supply chains, although we shouldn’t expect to see anything to happen in the short to medium term. 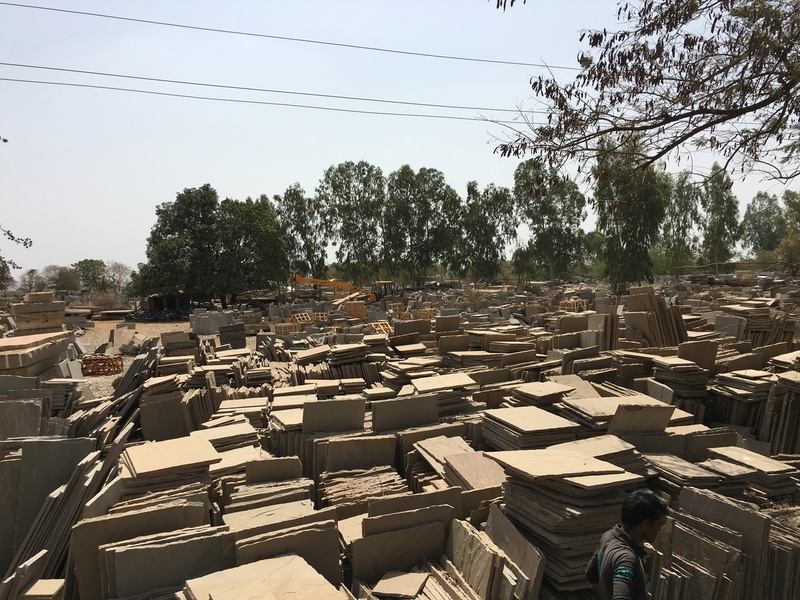 While I was on walkabout in Budhpura I discovered, and this is why stone supply chains are notoriously difficult to navigate, a new level of fragmentation within what is already a fragmented supply chain. I discovered an identical tier 1, 2, 3 situation within the tier 2 Sandstone Cobble supply chain. This was a profound moment of realisation. To try and explain the three different tiers we discovered within tier 2 of the supply chain. Tier 1 were the organised Sandstone Sett yards managed by the cobble trader’s union members. Like the tier 1 processing suppliers, I saw high levels of ownership and conditions were good. 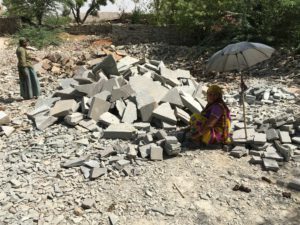 Tier 2 is the homework (in Budhpura lots of Sandstone Setts are produced at home. Tractors drive round tipping off loads of raw material in local peoples gardens), like tier 2 within paving supply chains, the conditions are far from ideal but some level of control and standards exist, if only due to the close proximity of the family unit. Tier 3 of Sandstone Sett production are the common working areas. Vast open spaces run and managed by contractors. Piles of waste stone are dumped in these areas and local people work the material into finished Cobbles. 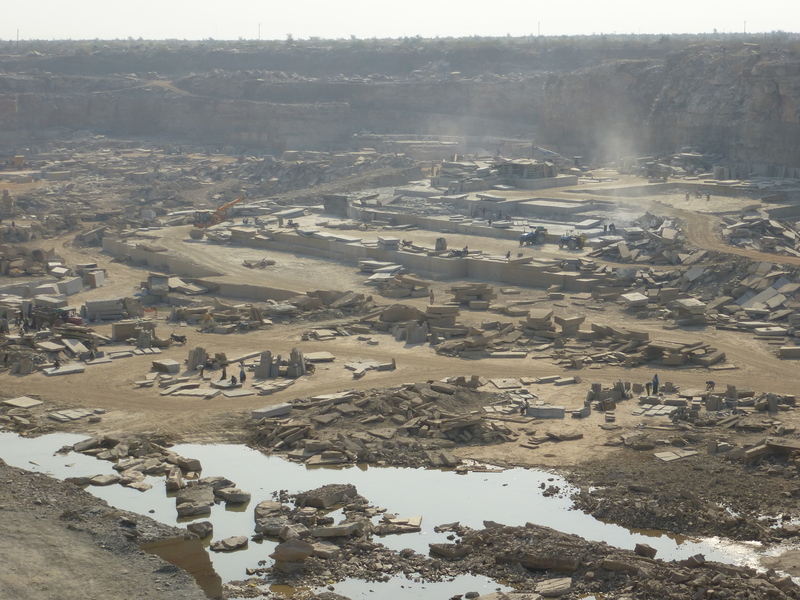 One of these open work areas I found in Budhpura was surrounded on all sides by spoil heaps of waste Kota Sandstone. No visibility; out of sight, out of mind. Impossible to change for it doesn’t actually exist in anyone’s minds. The obvious question to ask is what can we do to improve the working conditions in these “out of sight, out of mind” pockets of the supply chain? Workshop should be well organized and clean. 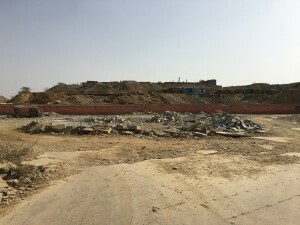 Demarcated accommodation segregated from production and storage area. Risk assessment with workers consultation including injuries such as eye and chest. Necessary health and safety provision to be in place according to workers feedback. Transparency in home workers and mining sites. Facilitate process of connecting workers with main stream banking system and insurance. 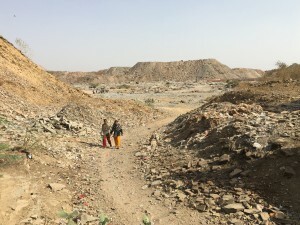 Transparency of home-workers and mining sites. I would strongly advise any stone supplier who hasn’t done so already, next time you go to visit your tier 1 suppliers as I’m sure you often do, look beyond the clean and polished tier 1 factories and ask your supplier to take you deeper into your supply chain, into tier 2 and 3 and beyond. See for yourself what is actually happening in your own supply chain. You will be amazed at what you discover, maybe even appalled. We did it and it’s given us an insight into areas and places we didn’t even know existed. 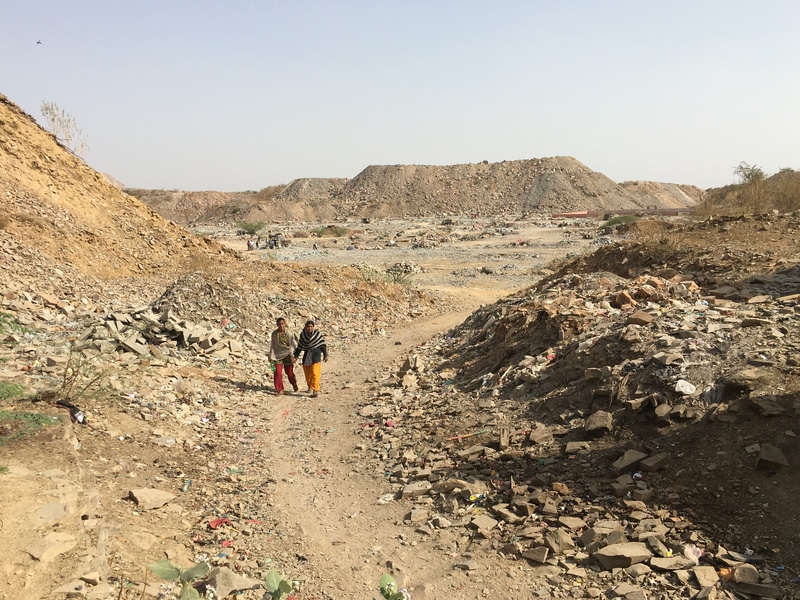 From insight come ideas and, in areas and sectors we didn’t even know existed 2 years ago, we are now working with our partners in the CLFZ project, strategizing on how we can drive improvements in these far flung corners of the supply chains. Another example of the expanding reach of the CLFZ project. What started out as a project to establish Child Labour Free Zones is sprawling into much, much more!